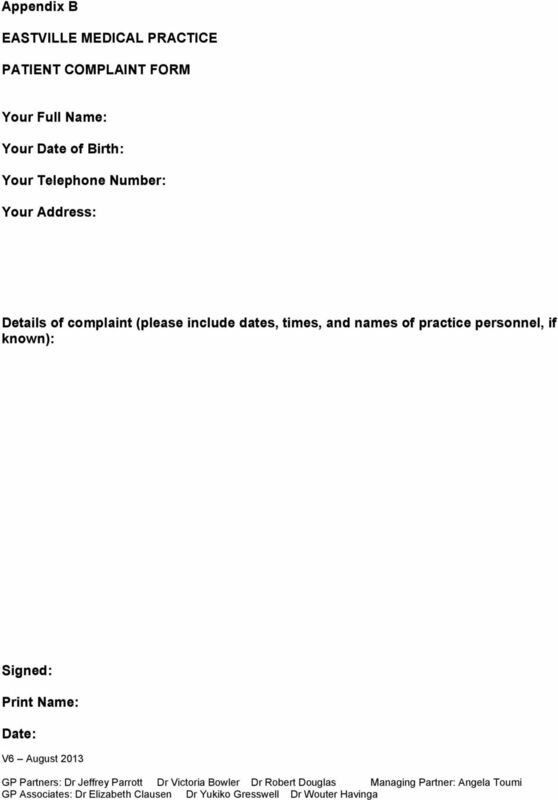 Download "EASTVILLE MEDICAL PRACTICE Complaints Procedure"
3 You may also complain directly to NHS England instead of the practice, if you would prefer. 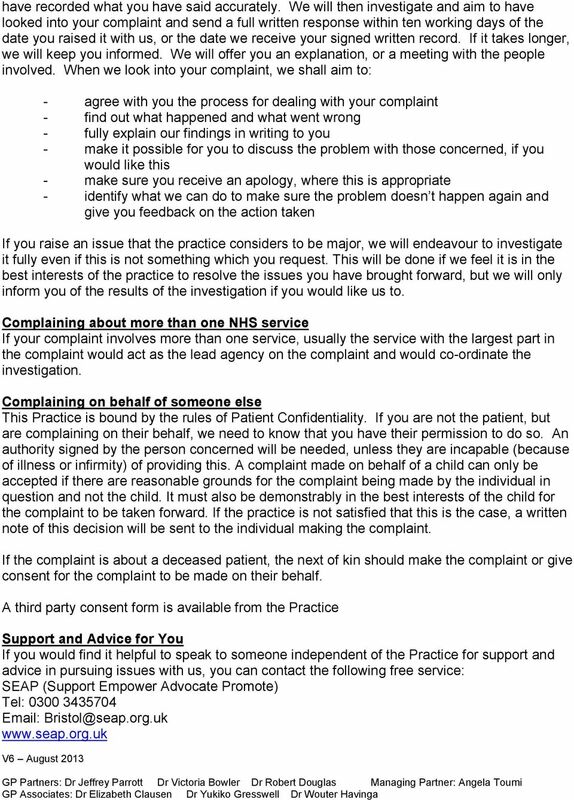 NHS England Tel: Post: NHS Commissioning Board PO Box Redditch B97 9PT Taking your complaint further If you remain dissatisfied with the outcome of the practice investigation you have the right to refer your complaint to the Parliamentary and Health Service Ombudsman. 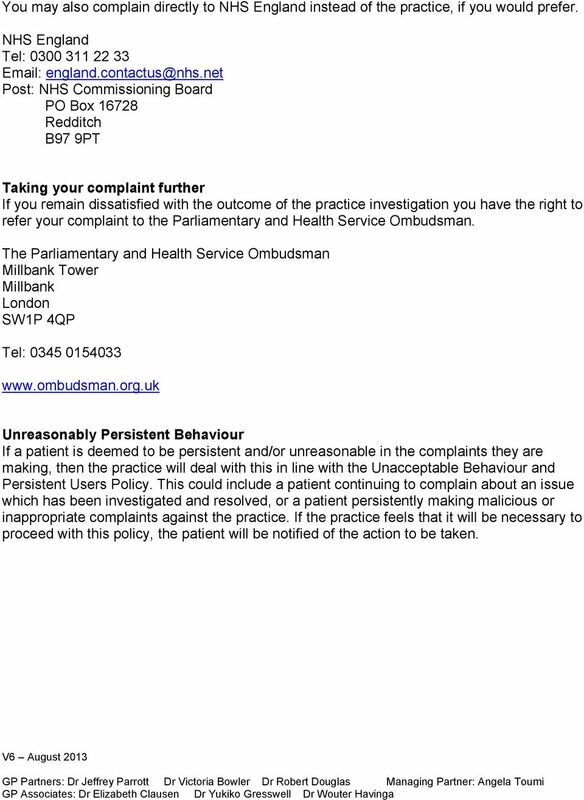 The Parliamentary and Health Service Ombudsman Millbank Tower Millbank London SW1P 4QP Tel: Unreasonably Persistent Behaviour If a patient is deemed to be persistent and/or unreasonable in the complaints they are making, then the practice will deal with this in line with the Unacceptable Behaviour and Persistent Users Policy. 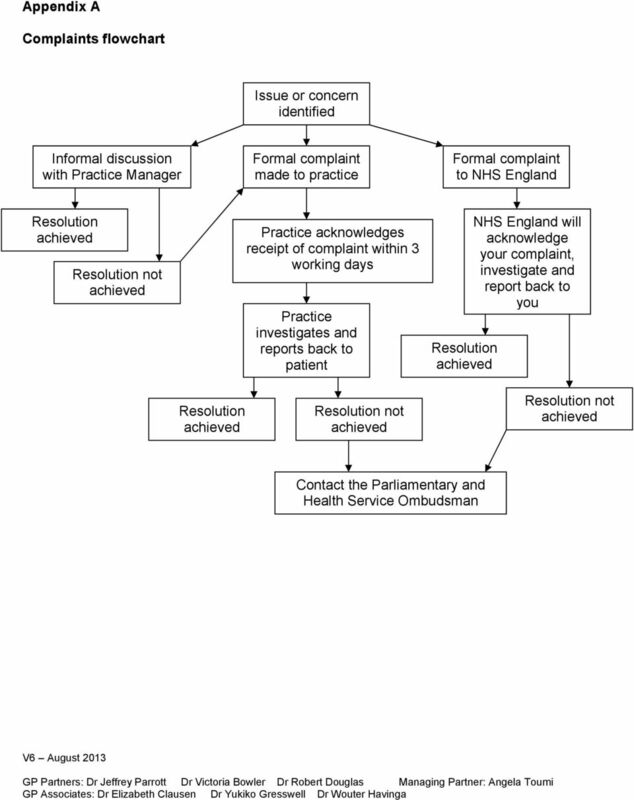 This could include a patient continuing to complain about an issue which has been investigated and resolved, or a patient persistently making malicious or inappropriate complaints against the practice. If the practice feels that it will be necessary to proceed with this policy, the patient will be notified of the action to be taken. 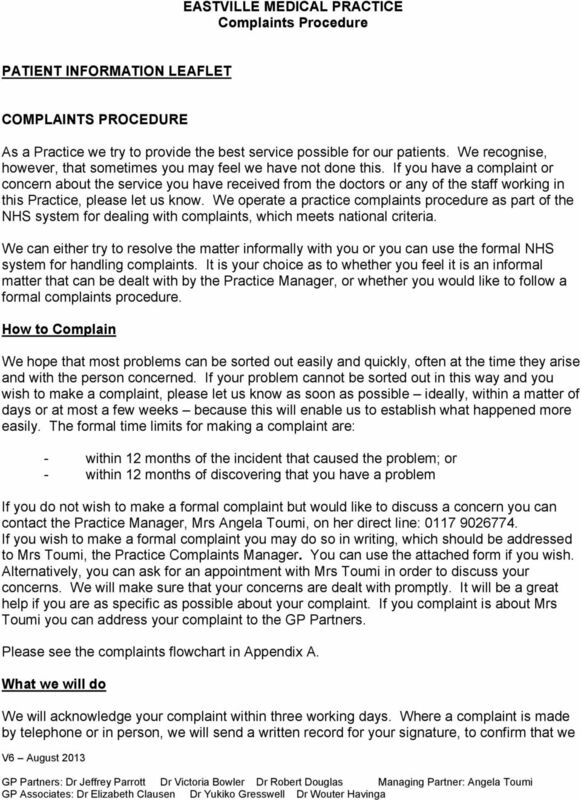 Overview Mr C, who is a prisoner, complained that the prison health centre was restricting his access to the NHS complaints procedure.